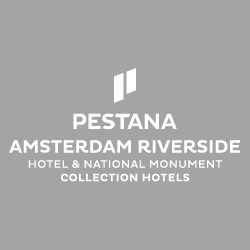 Hotel Vacature Amsterdam WAITER WAITRESS AMSTERDAM, werken bij Hotel Jakarta B.V.
Hotel vacatures van: Hotel Jakarta B.V.
WestCord Hotels Amsterdam is currently seeking EXPERIENCED staff for the restaurants and bars of their hotels. Daily duties are welcoming our guests, seating them with a smile, and taking in their orders. After preparation, serving out the meals and beverages. Candidates (EU citizens only) have sufficient experience as barkeeper or waiter/waitress in the hospitality branche and are happy to serve our guests a warm welcome. Should speak at least Dutch and English, and have a well-groomed appearance. Westcord pays above the minimum of the Collective Labour Agreement Hospitality Branche (CAO Horeca), the level of payment is in relation to the experience of candidates. Both full time and part time jobs available.